With the masses enjoying brilliant sunshine in the middle of a wet Western Australian winter, the scene was set for the newest addition to the Australian paintball scent to shine. The “Tomb Raider” scenario with its giant stone pyramid and the “Behind Enemy Lines” scenario in the dense bush land proved the most popular games scenarios on the opening weekend. 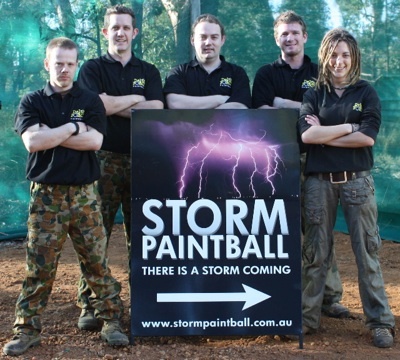 So with the weather on the improve and some great opening specials still available, why not get down to Strom Paintball and see what the best in Australian Paintball has to offer.